Arch Fitness is a local fitness center dedicated to the physical and nutritional wellness of the greater Pepperell area. Arch has been a leading area provider of group fitness sessions since it's inception in 2009. Founded by local owner and fitness expert Lynne Archambault. At Arch Fitness we focus on functional interval training using your entire body in a way that optimizes energy output to increase muscle strength, endurance, and usability. We maximize the use of our bodies and minimize the need for equipment to help maintain excellent physical condition. When you're in great shape not only does your body benefit, but your whole life becomes happier and more enjoyable. To find out more about specific services, click here. Lynne Archambault founded Arch fitness on her philosophy of living a healthy lifestyle. Her passion is educating people that health is more than just a routine, it's a lifestyle. 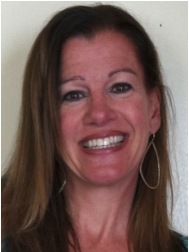 Lynne is an AFPA, CPR certified personal trainer, fitness instructor, Pilates, and yoga instructor. 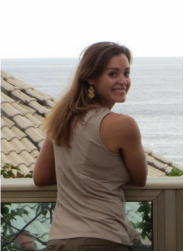 She is a high school Physical Education teacher with her Masters in Health and Wellness Education. Lynne has been involved in athletics her entire life, loves being physically active, and loves the outdoors. Her style and methods have changed with the industry, always ahead of the curve in adopting newer and better practices. Most recently Lynne has enjoyed participating in sprint triathlons, consistently placing in the top ten for her age group. Being a working mother of 3 isn't easy, and Lynne needed an exercise program that would deliver the optimal results in the precious little time she had between the responsibilities of her family and job. With the success of reaching her own goals Lynne was determined to take her method out to friends and family to help them reach their own goals. This took a new form with the creation of Arch Fitness, where Lynne has been bringing her unique exercise program to her customers to help them achieve their fitness goals and have an overall better, healthier life. Jennifer is a certified personal trainer and fitness instructor who has been with Arch Fitness since its opening in April 2012. When she is not working as a full time nutritionist, she spends her time training and competing in activities such as sprint triathlons, road races, and half marathons. She recently completed the 2014 Boston Marathon. ﻿Gretchen is a certified trainer who has experience playing sports at the high school, collegiate, and National club level. Movement is very important to her and she loves that she is in an environment to share this passion. " I love seeing people set goals for themselves that they never thought were obtainable. I love being a part of their personal life accomplishments." 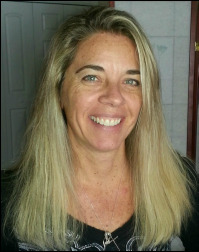 Tammy is a CPR certified fitness instructor at Arch Fitness. She has been with us since September 2014. She has always been active and health conscious throughout her adult life. She believes that fitness is a lifestyle and not a fad. Tammy enjoys helping people reach their healthy goals, whether it is losing weight or learning how to incorporate exercise into their daily routines. In the winter months, she enjoys skiing with friends and family to stay active while also enjoying the fresh mountain air. She likes to keep things fresh and energetic while making sure everyone is having fun and working hard as they achieve their fitness goals. Taliah has been a student of dance and fitness for many years. A native of Boston, Massachusetts, she studied Tap, Modern Jazz, Ballet and Hip Hop at a number of studios in Boston and New York City. Using her background in dance as a platform, Taliah has ventured into many areas of the entertainment industry including stage, television, film, and music videos. As a member of Phunk Phenomenon Dance Company Taliah performed at a number of Boston Celtics games. And as she continued to perform with Phunk her love of their high-energy dance performances created a segue into her love for fitness. Michelle Gallagher has been an exercise enthusiast for many years. She began running competitively in high school and has continued to focus on the importance of being active throughout her life. In college, Michelle taught group fitness aerobics. She has run competitively for many years, earning first place medals and most recently qualifying for the Boston Marathon. Her passions are focused on being outdoors and enjoys running, kayaking, paddle boarding, roller blading, hiking and mountain biking. Broadening her love for exercise and teaching, she became a certified Mad Dogg Spinning instructor and looks forward to sweating through the hills and intervals on the bike with you. Meagan has been teaching Vinyasa Flow Yoga at Arch Fitness since June 2017. She discovered her passion for yoga in the summer of 2009 and completed her 200 hour Yoga Teacher Training certification from Buddha Nest Yoga in Groton, Mass. Meagan’s classes incorporate balance, strength, and flexibility. She’ll help you work up a sweat and leave feeling centered. Meagan is also a devoted runner and a lifelong Pepperell resident. Therese LaRose has been teaching group fitness classes since 1995. She has a love for fitness and helping others enjoy living a healthy lifestyle. Therese is Mad Dogg Athletics Spinning certified and Registered Yoga Teacher since 2001. Therese’s classes offer a combination of Sweat and Zen…a great workout that has you leaving your stress behind.